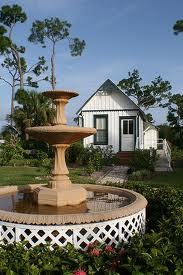 If you have an interest in Punta Gorda History, you may want to check out the History Park. There you will find historic buildings that have been moved there for preservation & our enjoyment. From the 1890’s to 1901, the El Palmetto Cigar Company had a successful factory in downtown Punt Gorda. Near the factory there were small cottages for their workers. One of these cottages was donated and moved to the park in 1999. The Price House/Gilchrist Inn is fairly new to the park & is getting close to completion of its renovation, thanks to all of the volunteers. You will also see the Trabue Land Sales Office Building. Prior to being incorporated as Punta Gorda, this beautiful historic city was the development of Trabue (founded by Isaac Trabue). This office became the town’s first post office & later was used as a rental cottage for winter visitors. 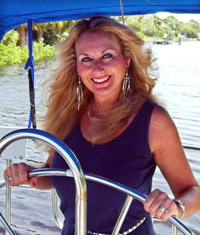 Punta Gorda has come a long way… back in the late 1800’s, it was a wild and lawless place! The fisherman and cowboys would get quite intoxicated in the evenings & the city decided they needed to do something about it. 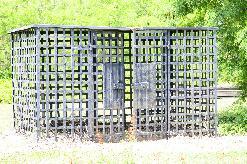 The original primitive jail, The Calaboose has been restored & is part of this historical landmark. Take a drive over to 501 Shreve Street in Punta Gorda, Florida & check it out! !